People love their slow cookers. I mean, they love them. Month after month, they continue to be one of the top-selling kitchen appliances, and the number of websites and books dedicated to recipes for them is staggering. And with good reason. At least on the surface, slow cookers offer a level of convenience that no other cooking method can match: Just dump in your ingredients in the morning, switch it on, and come home to a hot meal ready and waiting for you. But at what cost? What exactly are you sacrificing by committing to that path of least resistance, and is it actually that much more convenient than the alternatives? 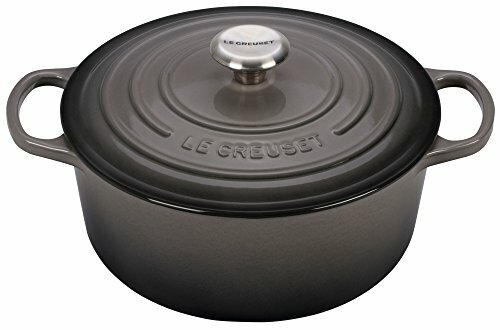 I'm going to argue that in almost all situations in which you'd use a slow cooker, you are better off choosing one of two other options: a Dutch oven placed on a rack in a 225°F (105°C) oven, or a pressure cooker. I know it's a bold statement, but hear me out before you dismiss the idea. To start, let's talk about food quality. Slow cookers, pressure cookers, and Dutch ovens are all used for moist-heat cooking techniques—braising, simmering, and stewing. But there are fundamental differences in the way that they heat, which can affect the outcome. To test out exactly what these differences are and how they impact flavor, I made batches of my All-American Beef Stew, my Slow-Cooked Red Sauce, my Split Pea and Ham Soup, and Daniel's Basic Chicken Stock, and compared the results directly, side by side. When testing, I used five different tools: a Breville countertop electric pressure cooker; a Kuhn Rikon stovetop pressure cooker (which features a second-generation, spring-style pressure indicator—more on that later); a Presto stovetop pressure cooker (which uses an older, jiggler-style pressure indicator); a Le Creuset Dutch oven; and an All-Clad slow cooker. I found that three main factors really affected the outcome: cooking temperature, reduction, and Maillard browning. One of the biggest factors that can affect flavor and body development in braises and stews is the temperature at which they are cooked. A Dutch oven with its lid cracked, placed in a 225°F oven, will reach equilibrium at around 180 to 190°F (80 to 90°C)—hot enough to produce a few lazy bubbles, but not a rolling simmer. * In a Dutch oven set in the oven, you also get pockets of heat, both right next to the edges of the pot and at the surface of the liquid. On a stovetop, a Dutch oven will get a little hotter—between 190 and 212°F (90 and 100°C), depending on how hard it's simmering. The temperature a slow cooker maintains can vary greatly from brand to brand, but I've found that in most cases, on the "low" setting, you're hitting a range that is a little bit below that of a Dutch oven in the oven. More importantly, because you are heating through a thick ceramic insert, that energy comes very gently from the bottom, and, to a very slight degree, from the sides of the pot. There are no hot spots. * This equilibrium temperature is dependent on the amount of free moisture within the food being cooked. With very soupy foods, energy from the oven goes toward evaporating that liquid, which effectively cools the contents of the pot. As the liquid reduces, the temperature will gradually rise. Once the food has almost no free moisture, its equilibrium point will be equal to the actual oven temperature—in this case, 225°F. But rare is the situation in which you'd want to completely dry out your food when braising. This may seem like a good thing, but in practice, it means that a slow cooker cooks, well, more slowly, and in most cases never achieves the same results as a Dutch oven. Vegetables remain firmer. Meat remains tougher. Dried beans do not tenderize as well, and starches and gelatin are not as activated, leading to thinner results. By contrast, a pressure cooker at high pressure cooks at around 250°F (120°C). Maillard browning is not something you typically associate with moist cooking techniques, but it actually plays a vital role in flavor development in a good braise or stew, even beyond any initial browning steps you may take before you add your liquid. Dutch ovens placed in the oven exhibit the most browning. That's because they heat from all directions, including the top. As a stew cooks, bits of food sticking out above the surface, or, in some cases, areas of concentrated proteins directly on the surface of the liquid, can brown significantly, as can any bits of food that are deposited around the sides of the pot as liquid reduces. This effect is enhanced by cooking with the lid ever-so-slightly cracked to encourage evaporation,** though, even with the lid completely sealed, the heat coming from above will help add some browned flavors. ** This tactic also helps keep the contents of the pot at a sub-simmering 180 to 190°F or so—a good temperature range for braising. In a slow cooker, moisture that evaporates from the food being cooked condenses on the lid and drips back down, simultaneously slowing the rate of reduction (i.e., the rate at which flavors are concentrated) while also cooling the surface of the food. All of the heat comes from below, which means no enhanced browning on the top. Thus, foods cooked in slow cookers experience almost no extra browning or reduction once they're placed in the ceramic insert, which means that it's difficult to build flavor. The slow cooker version paled in comparison—quite literally. Not only did it have inferior flavor due to inferior browning, but because of the temperature differences, it also didn't thicken properly, remaining sludgy and thin, as opposed to the rich, glossy texture of the sauce that a Dutch oven or pressure cooker achieves. By now, I hope I've convinced you that, at least in terms of absolute quality of food, there's no question that slow cookers produce inferior results. But, of course, food quality is not the only important factor in the equation. There's also convenience, and there, it seems that slow cookers have the clear lead. But do they really? Slow cookers require some planning. You have to prepare your food before you leave for work in order for it to be ready by the time you come home. That means, at the very least, measuring and adding ingredients in the morning. If you want better flavor, it also means searing and sautéing meat and vegetables in a separate skillet or Dutch oven, and perhaps deglazing and reducing some wine or stock before transferring it all to the ceramic insert. That leaves you with a pan to clean before your commute as well. With a pressure cooker, you still have to take all of those steps: measuring and mixing at a minimum, searing and sautéing for improved results. But the difference is that with a pressure cooker, you can do the searing and sautéing directly in the vessel you're going to cook in. That saves you some extra dishwashing. As for convenience, because a pressure cooker cooks so darn fast, you aren't sacrificing all that much on that front, either. Anything that takes eight hours to cook in a slow cooker can be cooked in about 45 minutes in a pressure cooker, and most things cook much, much faster even than that. Think: Vietnamese pho, start to finish, in half an hour. Chile verde with only 15 minutes of cook time. Chicken, lentil, and bacon stew in 30 minutes (with only 10 minutes of active work time). For some people, even the prospect of 10 minutes of cooking and a half-hour wait before dinner is too much hassle to deal with after a hard day's work. I get it. And for those folks, perhaps the slow cooker really is the best tool for the job. But for those of you who can stomach the idea of waiting just a bit longer for vastly improved results, I'd strongly recommend making the switch. And, if you go for an electric countertop multi-cooker, like the Breville Fast Slow Pro or the Instant Pot Duo60 (two of the winners from our pressure cooker testing), cooking is even simpler, as these require zero monitoring of burner strength or temperature gauges. A pressure cooker is more versatile, too. Try cooking risotto in a slow cooker (in a pressure cooker, it takes just five minutes at low pressure), or a five-ingredient chicken stew that creates its own broth (20 to 25 minutes at high pressure). Over on Twitter, I'll often suggest that any slow cooker recipe will come out better if you make the exact same recipe in a Dutch oven with the lid slightly cracked, placed on a rack in a 225°F oven for the day, instead of cooking it in a slow cooker. This is okay for a weekend, when you're around the house, but what about on weekdays? Surely it can't be safe, right? Let's be clear about one thing here: Leaving any piece of cooking equipment on for the day, unattended, is a risk, and the National Fire Protection Association (NFPA) recommends against it, whether it's an oven or a slow cooker. Unattended cooking is by far the most common cause of kitchen fires, accounting for 34% of them. But given that you're going to assume that risk and leave one cooking device on for the day, are ovens actually more dangerous than slow cookers? I read through this very detailed annual report from the NFPA to shed a bit of light on the matter. According to that report, ovens account for about 13% of fires overall, while slow cookers (and other "portable cooking or warming units") account for only 4%. That said, your odds of starting an oven fire greatly increase when you leave the oven unattended at high temperatures, as opposed to the 200 to 225°F (95 to 105°C) you'd use when slow-cooking or braising. If we look at serious accidents involving death, the stats reverse: Slow cookers are responsible for 8% of fires involving death, while ovens are responsible for only 3%. On the other end of the scale, slow cookers and ovens cause just about the same number of minor injuries (4% versus 5%, respectively). Both ovens and slow cookers, by the way, are dwarfed here by ranges and cooktops, which account for 61% of kitchen fires, 86% of kitchen-fire-related deaths, and 78% of kitchen-fire-related injuries. If we look even deeper, things get even more interesting. While oven fires cause $45 million in property damage annually, slow cookers cause almost double that, $79 million. Oven fires tend to be confined within the oven itself, while slow cooker fires can easily spread to other parts of the kitchen. Some folks have said that they are more reluctant to leave a gas oven on than an electric oven, and one might assume that gas ovens and ranges are inherently more risky than electric ovens and ranges, but that's actually not the case. Turns out that though 60% of households use electric stoves, they account for 80% of accidents. Of course, all of these statistics can and should be taken with a grain of salt. They do not take into account the relative frequency of use of each of these devices. If I were to venture a guess, I'd say ovens are far more commonly used than slow cookers, which means that these numbers should skew even more in favor of ovens being safer than slow cookers. But slow cookers are far more likely to be used unattended, which would push the figures back in their direction. The point is, ovens are far safer than folks seem to believe they are, so, at least for me, the argument that says "I'm willing to leave a slow cooker on unattended all day, but not an oven" doesn't hold much water. There are, of course, other reasons why you might not want to leave an oven on all day. Energy use is one—though, once a modern oven reaches temperature, it takes very little energy to keep it there so long as you aren't opening and closing the door frequently—and heating up your house might be another. Those two numbers are exactly correlated no matter the device, by the way. The amount of energy it takes to maintain a pot of stew at a given temperature is directly related to the amount of energy escaping the cooking device and, therefore, the amount by which it heats up your kitchen. If your oven doesn't cause your kitchen to warm up significantly, then it's not using much energy to maintain a given temperature. If, on the other hand, you notice that your kitchen gets substantially hotter whenever you use the oven, then it's using more energy to heat. To be fair, there are a few tasks that slow cookers perform better than either Dutch ovens or pressure cookers, and not just on convenience but in terms of actual performance. There's no better device for keeping things like stews, soups, chilies, dips, and cheese sauces hot at a potluck picnic table, where guests are going to be dipping repeatedly over the course of several hours. There's very little reduction going on, and because of the slow, even heat dispersal of ceramic, there's virtually no chance that your sauces are going to burn or brown. Slow cookers are also great for making large batches of caramelized onions. It takes a long time, but it's essentially a set-it-and-forget-it technique. Fill up the crock with sliced onions, add a few knobs of butter, season with salt, turn it on, and leave it alone until the onions are as dark as you like. You won't develop quite the same flavor as you'll get with onions caramelized the traditional way, and you won't get the speed of pressure cooker caramelized onions, but as far as the convenience-for-results ratio goes? It's tough to beat. I also quite like the uniquely moist and custard-like texture you achieve when cooking stuffing or bread pudding in a slow cooker; both are recipes that don't rely on intense browning or reduction of liquid for their flavor. You can also use certain strategies to improve the quality of your slow cooker meals. Intensely browning meats and vegetables in a separate skillet before adding them to the slow cooker can improve depth of flavor to some degree. Finishing with bright, flavor-enhancing ingredients also helps. Savory ingredients, like soy sauce, fish sauce, Marmite, or Worcestershire sauce, can add some of the umami depth you're missing because of inferior browning. Acidic things, like vinegar and lemon juice, can brighten up flavors that have been dulled by hours of slow steaming and simmering. At the end of the (eight-hour, slow-cooked) day, like most things, it's a personal decision that you should make based on your own particular circumstances. If you're the type of person who wants that hot meal ready and waiting as soon as you get home from work at the expense of some flavor, then the slow cooker is going to deliver that for you. If you don't mind leaving your oven on low for the day, or if you are willing to put in a little bit of work in the kitchen after you get home, then a Dutch oven or a pressure cooker is going to deliver superior results. After all, as anyone who has played Mario Kart can attest: Good things come to those who try to find shortcuts. Over on the Cooking Issues blog, Dave Arnold has noted that results can vary greatly depending on the type of pressure cooker you use. See, older models of pressure cookers have what's called a "jiggler": a weight that sits on top of a steam vent. As pressure in the pot builds up, that steam pushes up on the weight harder and harder, until it finally lifts it just enough to vent a bit of steam out, releasing pressure and allowing the jiggler to settle back down. This happens at quite a rapid rate, leading to the weight "jiggling" up and down (hence the name). What this means is that in an old-school pressure cooker equipped with a jiggler, the liquid inside actually simmers slowly as pressure builds and is released. This leads to cloudier broths and stocks, and soups and stews with ingredients that tend to fall apart a little more. The pressure indicator on a Kuhn Rikon pressure cooker. You can see an obvious difference in the color of these stocks. What you can't see is the flavor, which, to a large degree, correlated with color. Batches A and B were by far the most flavorful, with the best body. Batches C and D were next (though it should be noted that batch C was the cloudiest, with a flavor that was rich and full but not quite as "clean" as the others), trailed by batch E, at a distant fifth. If you already own a jiggler-equipped pressure cooker, it'll still work fine. But if you're in the market for a new stovetop cooker, I'd strongly suggest looking for a spring-valve-equipped model. Check out our guide to the best pressure cookers here for more information.